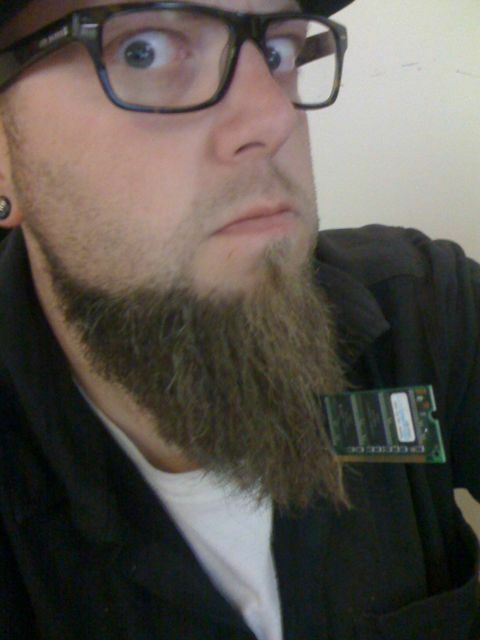 My Beard outperforms most PCs made before 2004. Wait… It destroys everything. This is what a long, hot day of wine-tasting in Napa Valley does to a man. This week’s video edition was shot on location in sunny tropical Johnstown NY. We celebrated my brother Ben’s birthday the most badass way possible…..
Beer, bourbon and blowing out fire in Beards. What’s better than a Beard? Fifty bucks IN your Beard…and its kind of a meta Beard too…because Ulysses S Grant had a sweet Beard, and that Beard is inside MY Beard…..
Today we bring you the awesomeness of VIDEO for this very special edition of Stuff in Mick’s Beard. Shot on location on a quick lil break. Some people smoke cigs or make a coffee run, i stuff crap on my desk in my Beard. Little Gertrude was born on March 1st and weighs in just around 2 pounds. We picked her up from the SFSPCA after calling them this morning at about 11am, hearing they had 3 kittens, and MOTORING into the city. So far, weve noticed 3 things. 1. Her poop stinks, but she knows the litterbox. 2. She will RUN this house. 3. She LOVES playing with and being in my Beard. 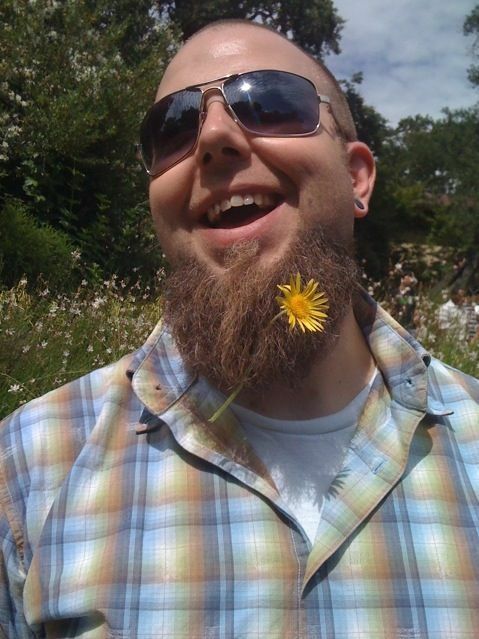 And thats good….because you can expect to see alot of Gertie/Beard shenanigans in the future. WHO is in Mick’s Beard? My first featured hooligan stuck in my Beard is Lauren Summers, who is the Chief Farmer for The Little Goat, a craft blog specializing in couture for little kids, as well as the front end for her Etsy Store. Her main raison d’etre are her Wunzees, featured in the mentioned Etsy site, which have garnered quite a bit of attention, and even got her featured on 11Alive News, in Atlanta, GA. WXIA-TV Its the NBC affiliate! Pretty cool huh? Give Lauren a visit, and take a look at her awesome Wunzees. If you know a little friend that could use a couple, dont hesitate to support your local artists!